Randoms | too weird to live, too rare to die. A mid-week update here we go. Taiwan photos are still not done yet, so be patient with me. Though I have to admit, it's really hard attempting to multitask while watching Running Man on the go. Usually I have this habit of opening multiple windows on the laptop just so I can do different things at a time, most regularly watching (or rather, listening to) a video while online shopping or editing photos. Understanding the Korean language however, is not my forte, so I end up needing to read the subtitles in order to understand what's going on, and that ends up slowing down my ability to multitask. First task of 2014 just so happens to be a Running Man marathon, and given the hundreds of episodes already out and with each lasting up to more than an hour or so, my progress has been relatively slow. I know I know, I'm superbly late on the bandwagon, but hey better late than never. Just so you know, Gwangsoo is my favorite. Back to updates, just some random bits here and there. Things have been slow and back to the usual since being home. I've been tired and whiny all of past week, so I tried to catch up on rest as much as I could. 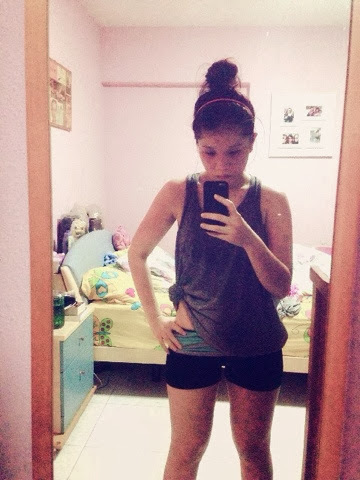 Slowly creeping my way back into the fitness regime, and Jillian Michaels sure isn't letting up on me. Just a week of stopping and a tad too much of Taiwan's greasy goods, my stamina was almost back to ground zero again. First two workouts had me panting like a sick puppy and I had to stop a few times to catch my breath. Not good. Thank goodness for yesterday, it seemed like I was back on track again without any hiccups. With another trip to Hong Kong in March coming up, I foresee another round of binging, so I'd better catch up as much as I can before the next holiday starts. Met up with one of the besties over the weekend. It was a much delayed Christmas gift exchange for us. Just showing off one of my good buys from Taiwan. 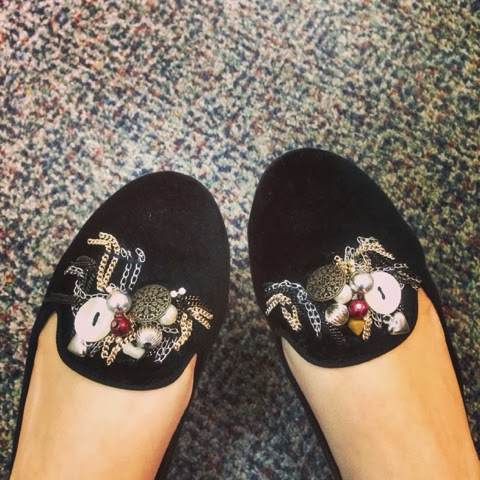 These Zara pumps were full-priced in Singapore when I first saw them in stores. Hadn't had the heart to get them then, which thankfully I found them priced at 40% off in stores at Taiwan so I got them in a heartbeat. Still not particularly cheap, but a 40 percent is still kind of hard to pass on. 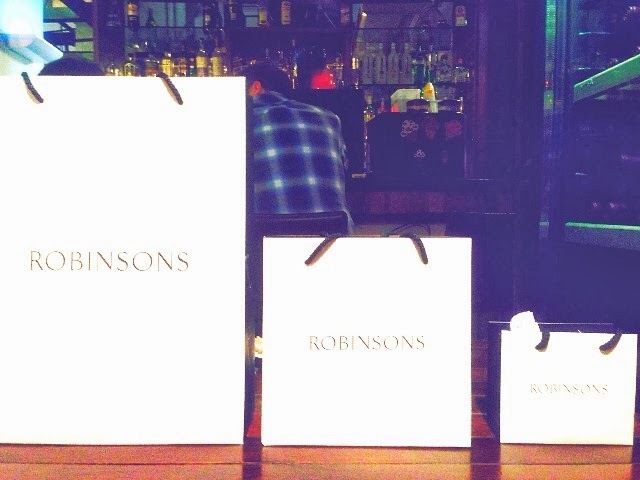 So the bestie and I went to check out the new Robinsons store, and perhaps we stayed a little too long too. Finally got myself the famed NARS Sheer Glow Foundation and Radiant Creamy Concealer. and I can't wait to try them out. And I'm impressed that every buy comes with a posh bag rather than their usual crappy plastic ones. Check out papa bag, mama bag and baby bag all in a row. Now say aww. Aww. And just ending this random post with a random narcissistic picture of myself. Finally I can tie my hair up high again (with the help of 100 pins). I've been enjoying my short hair thus far, though perhaps I'll be growing it out to shoulder length for now. I've been contemplating about bangs for awhile now but undecided as usual. 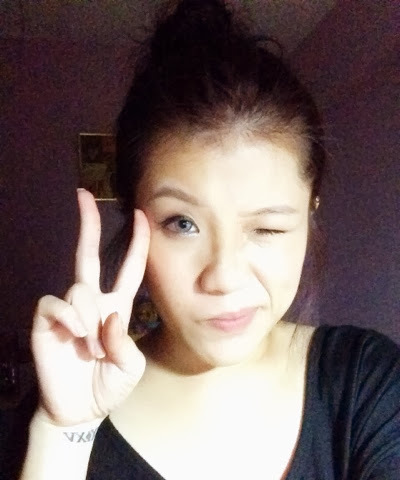 I'll probably hit up the salon for opinions and a trim after CNY once the prices die down. So for now, byeee. out with the old; in with the new.